If you are in the midst of financial hardship, you might be considering applying for a personal loan. Personal loans can take time to process, which is unacceptable when you have bills to pay. In order to expedite the process, you can prepare the necessary documents ahead of time. While the requirements vary from bank to bank, there are documents that are universally required by lenders. If you are a loan seeker applying for a personal loan rather than a business loan, you need to be adequately prepared. Here is a list of personal loan document requirements. Employment and income information is typically the first thing lenders ask for. This information is important. They need to know that you can pay them. One way to provide income information is to ask your human resources department. They can supply you with employment documents and payment history. Alternatively, you can mail your lender a pay stub. This is a quicker, easier option for most. Providing employment and income information is the most important step in fulfilling your personal loan document requirements. Once lenders are informed about your current employment information, they need to review your credit history, just as they would if you were inquiring about revolving credit. This is equally important. Your credit report is going to inform them of your borrowing habits. It is going to contain information about previous loans and credit cards. If you have several late payments, your lenders might be disinclined to approve your loan. Review your credit report and have it prepared for use as a personal loan document. Lenders need your banking information in order to deposit money into your account. You need to provide them with your account and routing number. You may also be required to supply several months worth of bank statements. This is to prove your ownership of the account. It is also a way to exhibit your spending habits. Prepare your bank account information when organizing your personal loan documents. Collateral is a personal loan document requirement that depends on your credit history. If you have a negative credit report, your lenders may ask you to put an asset up as collateral. The value of said asset is going to depend on how much the lenders feel is being risked. However, you can usually expect it to be something of high value. If you have bad credit, you should prepare for the possibility of having to provide collateral. This is a crucial step in fulfilling your personal loan document requirements for any loan you are applying for, including a VA loan. 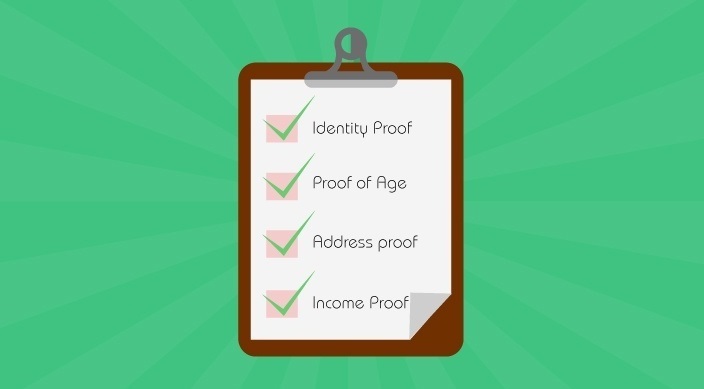 Providing valid identification is important for a number of obvious reasons. Firstly, it is important because you are required to be over the age of 18 in order to secure a personal loan. This should not be a concern if you are already in the midst of financial struggles. Secondly, lenders need to obtain as much information as possible before giving large sums of money out. They would not want to be in a situation where their client disappears without a trace. A driver’s license and social security card should suffice as valid ID. This personal loan document requirement is one that is easy to fulfill. Lender requirements vary, of course. There are some banks that will ask you to produce additional documents as well. You may also be asked to bring in pay stubs, extra copies of your application, multiple bank statements and multiple copies of your IDs. Some places, like a smart bank, on the other hand, require even less of you. There are some lenders that require only one bank statement, proof of income and a valid ID. It is best to inquire about specific requirements at your particular lending institution. Applying for a personal loan can be a lengthy process depending on your preparedness. Documents like credit reports and payment history need to be requested through third parties. This should be taken care of ahead of time. You also need to consider the possibility that you might be asked to provide collateral. Prepare adequately and you will have an easier time securing a personal loan.